Exercises for arthritis are one of the most effective ways of reducing the pain, stiffness and disability so often associated with knee arthritis. For the knee to be able to work properly it needs to be able to fully bend and straighten and have good muscle strength, control and balance. 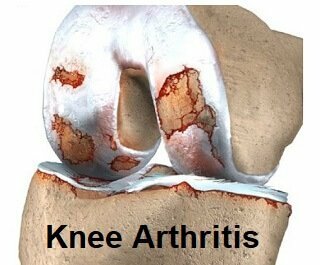 All of these tend to be affected by knee arthritis. Arthritis is a common condition, usually affecting people over the age of 65. In the US, it is the leading cause of disability. There are a number of treatment options that can make a big difference and exercises for arthritis are one of the most important of these, and have been shown to be one of the most effective. Here we will concentrate on movement exercises to increase how much you can bend and straighten your knee and a balance exercise for arthritis. For strengthening and more advanced exercises, visit the other sections. These movement exercises for arthritis are a great way to maintain and improve the mobility of the knee. It is common for the knee to get stiff with arthritis. These exercises for arthritis will help to prevent this from happening and help you regain movement if the knee is already getting stiff. Intro: One of the most simple yet effective exercises for arthritis to do first thing in the morning to loosen your knee up before you get up – morning stiffness is a classic feature of knee arthritis. Action: Lift your foot up and straighten your knee as much as possible. Hold for 3-5 secs and slowly lower your leg down to the floor. Then slide your foot back as far as you can and return to starting position. Do all this in one fluid motion. Good balance is really important to prevent knee injuries, and is often reduced with arthritis. As a quick test to see whether you would benefit from balance exercises for arthritis, try standing on one leg with your eyes closed. If you can’t do it for one minute, you would benefit from this exercise. This exercise for arthritis helps your body learn the subtle adjustments needed for good balance. 2) Throw and catch a ball – eyes open! These exercises for arthritis are a great place to start. It can also really help to do strengthening exercises to build up the knee muscles and reduce the force going through the knee joint. Once these exercises for arthritis become easy, you can progress on to more advanced exercises. If you want to know more about other arthritis treatments including surgery, pain relief and medication options, visit the Arthritis Treatments section.